The shareholders of McAfee & Taft, Oklahoma’s largest law firm, have elected Joe C. Lewallen, Jr. as the newest member of its board of directors. He joins Tim Bomhoff, Jennifer Callahan, Stephen Hetrick, Henry Hoss, and Michael LaBrie — all of whom were re-elected for another one-year term — as well as managing director Michael Lauderdale on the seven-member board. Lewallen is a veteran real estate and business attorney whose practice encompasses a broad range of complex business transactions with an emphasis on all aspects of commercial real estate development, including land acquisition, financing with debt and equity components, and development and construction of retail shopping centers, office buildings, hotels, and mixed-use projects. 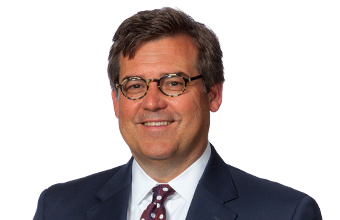 His achievements have earned him inclusion in the Chambers USA Guide to America’s Leading Lawyers for Business, Oklahoma Super Lawyers, and The Best Lawyers in America. Lewallen holds a bachelor’s degree in political science from Oklahoma State University and is a 1985 graduate of the University of Oklahoma College of Law. McAfee & Taft is one of the nation’s 250 largest law firms as ranked by the National Law Journal.